Discord erupts when jazz guitarist Gerry Martin is found dead on the rocks above the Jewel River. The one-time international sensation had fallen out of sync with festival organizers, students, and performers. Was his death an accident? Or did someone even the score? Leslie, how did you get started writing? I started writing at four, on my father’s desk. Literally—I did not yet grasp the concept of paper. Fortunately, my parents were very understanding, and kept me well-supplied with paper and pencils. I always wanted to write but didn’t really think you could. As with many people, the creative impulsive broke its way into my conscious life, insisting on being recognized, during a difficult period in my mid 30s, and I’ve been writing ever since. From idea for first novel (still unpublished) to first novel published—with a few short stories and a nonfiction book in between—was 19 years. Flow. Getting so caught up in the story that I forget it isn’t real, wondering why it’s cold when it’s July (on the page), or why dinner isn’t ready when Erin, the main character in my Food Lovers’ Village Mysteries, just made her special enchiladas. The sense that the story knows where it’s going, and the discovery that my subconscious mind has developed imagery and a theme that I didn’t consciously see. That might only happen for a few minutes in any writing session, but it’s magic. Now, I write nearly every day except Sunday and my monthly visits to my 91-year-old mother. But when I started, I wrote on Fridays and Saturday mornings, because that was all the time I had. You can actually write a novel that way—I wrote three. If you are consistent and committed, your subconscious—the muse, as some would call it—knows the routine and shows up when you show up. Two things: Not knowing whether it’s any good—when you start, you’re sure it is, but you’re probably wrong; paradoxically, as you progress, so do your expectations and judgment, and it becomes harder to tell whether you’re hitting that higher mark. And the isolation, which contributes to that doubt. 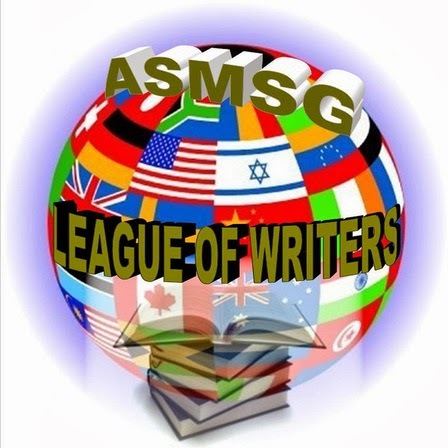 I always encourage beginners and those looking to make a leap to join a writers’ group. For me, that was Sisters in Crime—and I’m not saying this just because I’m the immediate past president of the national organization! 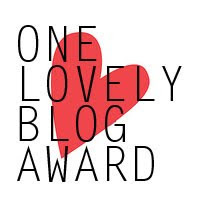 Writing is a solitary activity, but the support that comes from others is key. 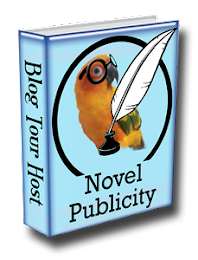 What’s more important – characters or plot? The characters drive the plot. 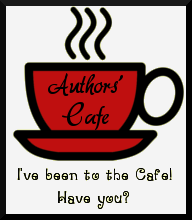 I start with a scenario, and because I write a series, my continuing characters and setting. I ask who else is involved, and look at what the key story people want in this book—and what they’ll do to get it. That creates the plot. Almost every night. Right now, I’m halfway through Letters from Paris by Juliet Blackwell, in which a young woman feeling at a loss travels to Paris to investigate the origins of a mask her great-grandfather brought home after WWII, interspersed with the historical story of the mask and its subject. It’s rich and fluid, and beautifully told. 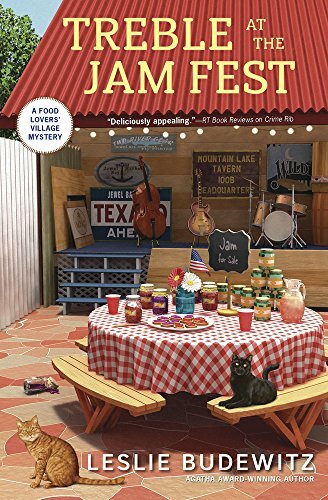 Treble at the Jam Fest is the 4th Food Lovers’ Village Mystery, which started with Death al Dente, winner of the 2013 Agatha Award for Best First Novel; all are available in paperback and e-book, with two in audio and two more audio books on the way. So far, there are three Spice Shop Mysteries—Assault & Pepper, Guilty as Cinnamon, and Killing Thyme. (Catch the theme?) Look for them in paper, e-book, and audio. And my first book is a guide for writers on using the law in their fiction, Books, Crooks & Counselors: How to Write Accurately About Criminal Law and Courtroom Procedure (Linden/Quill Driver), winner of the 2011 Agatha Award for Best Nonfiction. 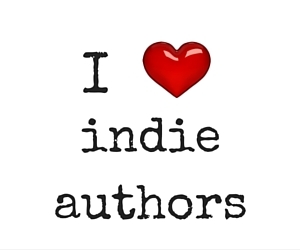 Do you have any marketing tips you could pass on to indie authors? Remember that the key is to connect with readers. They want to know you, meet you, and like you—so there’s no point being nervous. 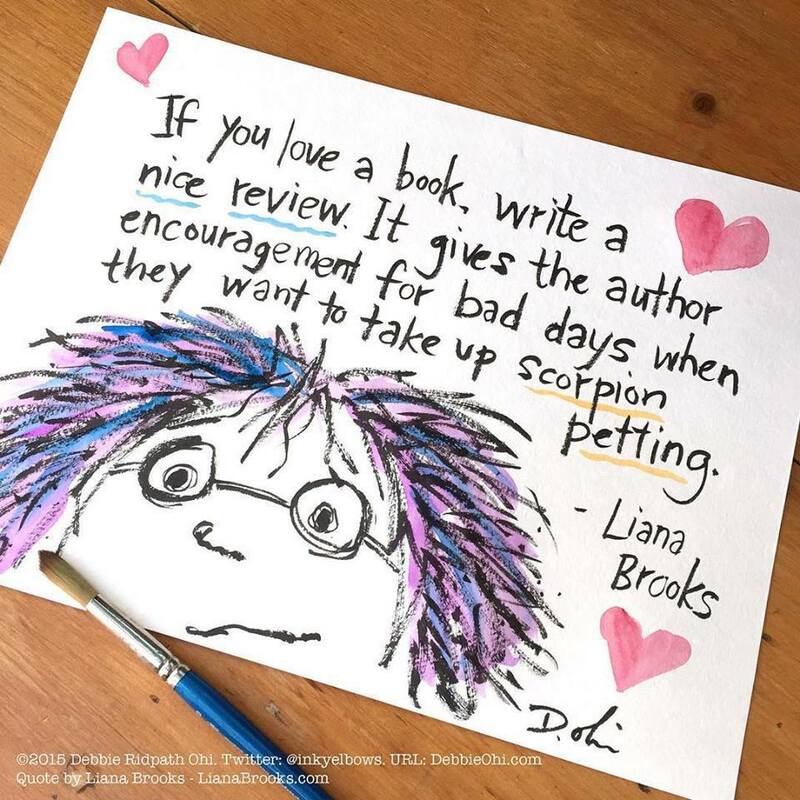 The engaged reader—one who got a response to her e-mail or Facebook post, or who exchanged a few words with you at a festival or bookstore—is more likely to recommend your books to others, and what you want is to get other people talking about your books. Finally, don’t feel you have to do everything—you’ll make yourself too unhappy to do a good job. What’s one THING you never leave the house without (besides your phone). I often leave home without my phone, but I’m nearly always wearing earrings. My small town has a real community spirit, which I hope I capture in fictional Jewel Bay. Our home is in the woods on the edge of a stunning mountain range, close to lakes, rivers, and hiking trails with incredible vistas, and we get out as often as we can. It’s beautiful and quiet, almost idyllic—with just enough characters and conflict to spark a good mystery! Tillamook’s Oregon Hazelnut and Salted Caramel ice cream, with a big dose of chocolate-Cabernet sauce. So you can join in the fun, I recreated the sauce recipe in Butter Off Dead, the 3rd Food Lovers’ Village Mystery. I can hang a picture perfectly straight and centered without measuring. Name one thing you’re really good at and one thing you’re really bad at. I’m really good at making people laugh, and bad at singing, which I love anyway! Go back to France with my hunny. We spent a month there a few years ago, in Paris and Provence, and adored it. And it changed our relationship to food and cooking, which helps me enormously in creating characters obsessed with food and finding and testing the right recipes for my books! If you’ve got a book you haven’t read, there’s always something to do! A rock star, if I could sing like Pat Benatar or Ann Wilson of Heart. Singing like that might make up for the travel and the other demands of the work. Oh gosh, yes! Erin, sweet as she is, can be a bit self-righteous, and a bit of a know-it-all, which make her a tad bossy at times. 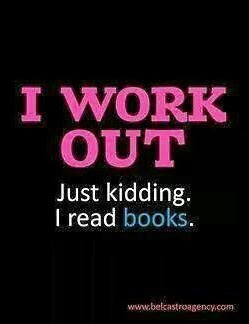 I plead guilty! Pepper, in my Spice Shop Mysteries, shares my occasionally sharp tongue. I love playing with their good and bad sides on the page! A large dish of Tortellini Salad, a recipe from Treble at the Jam Fest that I made for a gathering of women friends—I should have known they’d each bring a dish and we’d end up with too much! Happily, I love it! Backpack through Montana’s Bob Marshall Wilderness with my husband and brother. We carried 60 pound packs more than 60 miles, crossing the Continental Divide on foot at over 7,600 feet. It was also one of the most wonderful experiences of my life, for sheer physical accomplishment, and for experienced the incredible grandeur of the northern Rockies. She’s nice enough, but she sure causes me a lot of trouble. I’d like him—or her—to surprise me with something inspired by the location and the local foods. I like it every other Thursday night—pizza night at our house! Of course, sometimes we forget which week it is and eat it more often than might be good for us! Ha! I change it so often, I had to go check! It’s a glorious picture of the Swan Mountain Range from the road in front of our home. I love books where the authors delve into the characters’ emotions and portray them on the page, whether through action, dialogue, gesture, or the occasional telling. It’s hard, so many authors don’t do it, but I believe that people read in part to better understand the people and places around them, so by pushing ourselves, we can reveal more of that world. 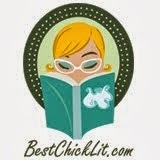 And even cozy mysteries like mine—generally fairly light with a touch of humor—can do it. It’s a matter of diving deeply into our own emotional experiences, understanding what our characters go through, and controlling the tone on the page. Casablanca, of course. Romance, adventure, history, a great song, and champagne cocktails. I’ve turned in the 5th Food Lovers’ Village Mystery, set at Christmas, and am working on a stand-alone set from 1981 to the present in Billings, Montana. The seed was a tiny incident my senior year of high school; I’ve wondered “what really happened” ever since, and because I’ll likely never know, I’m making up an explanation! I find myself delving more deeply into the lives of women, with a crime story thrown in. 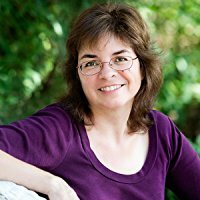 Leslie Budewitz blends her passion for food, great mysteries, and the Northwest in the Food Lovers’ Village Mysteries, set in Jewel Bay, Montana, and the Spice Shop Mysteries, set in Seattle’s famed Pike Place Market. The 2015-16 president of Sisters in Crime and first author to win Agatha Awards for both fiction and nonfiction, she lives, writes, and cooks in NW Montana.